The Habs began their second game in the Rookie Showdown the same way they started the first game, by taking their first shot six minutes into the period. 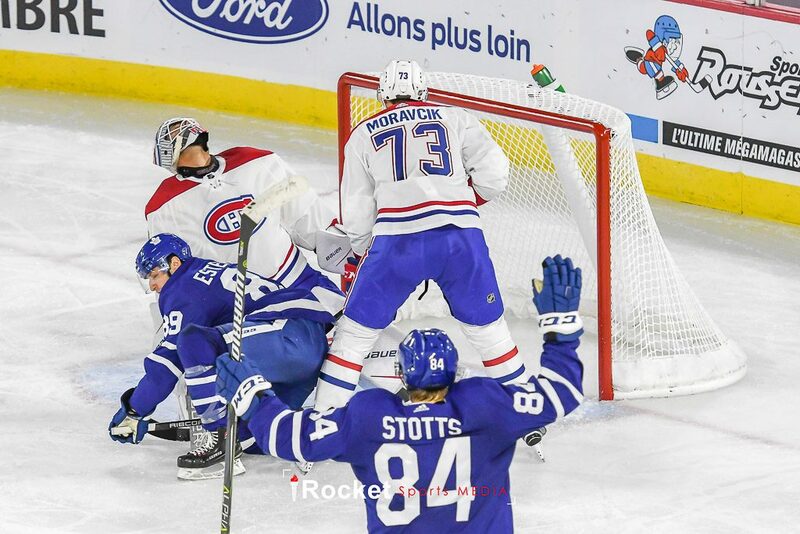 The Leafs capitalized on the Canadiens indiscipline while Morgan Adams-Moisan and Antoine Waked were in the penalty box and scored a pair of goals. 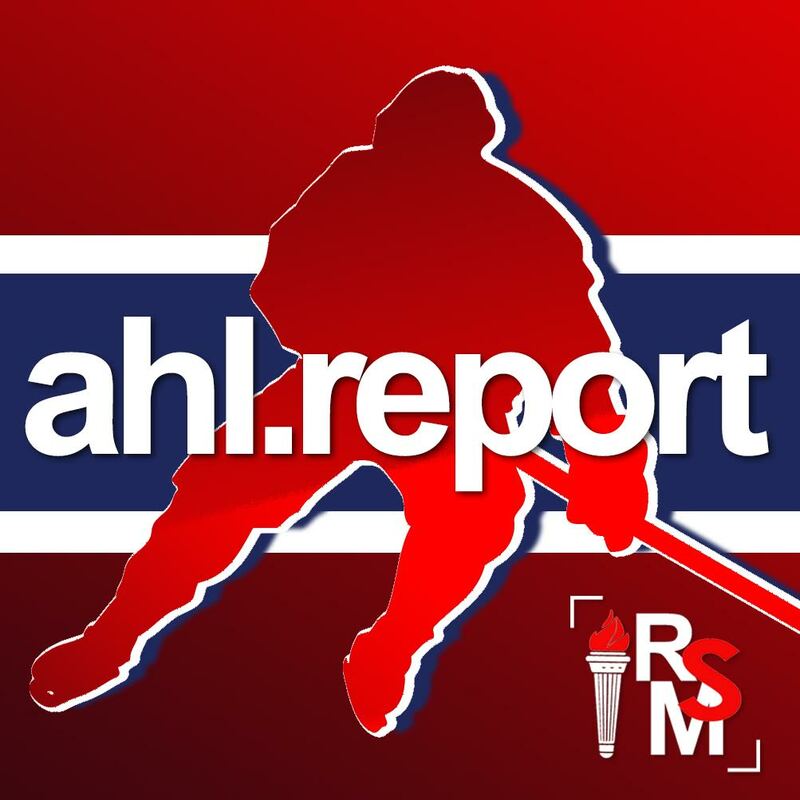 Carl Grundstrom scored after Canadiens goalie Michael McNiven couldn’t hold on to a shot taken by Timothy Liljegren. Just over a minute later Jeremy Bracco scored after receiving a great pass by Mason Marchment. In Montreal’s second game of the tournament the Canadiens found themselves watching a second player leave the ice on a stretcher. Jarret Tyszka left the game after getting hit into the boards by Hudson Elynuik. Elynuik receive a major penalty and was ejected from the game for the hit. 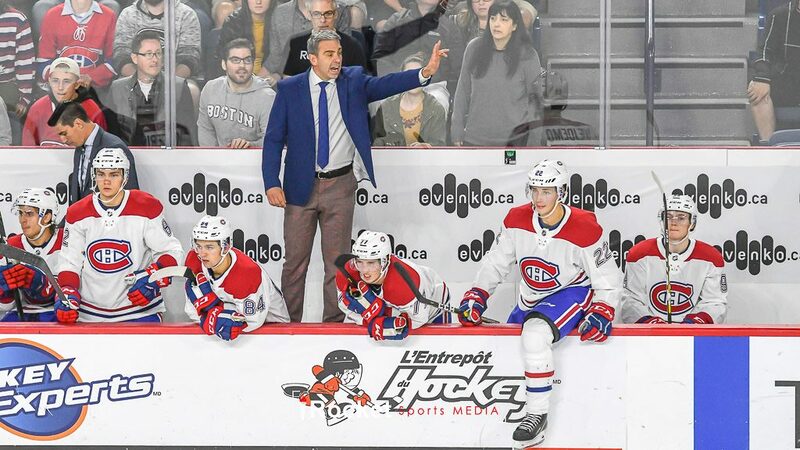 “Enough is enough”, Bouchard said after the game about the lack of the reaction of the Habs players on the ice. Those players didn’t see the ice again for the rest of the period. The ensuing power play was cut short as Waked took a minor penalty. 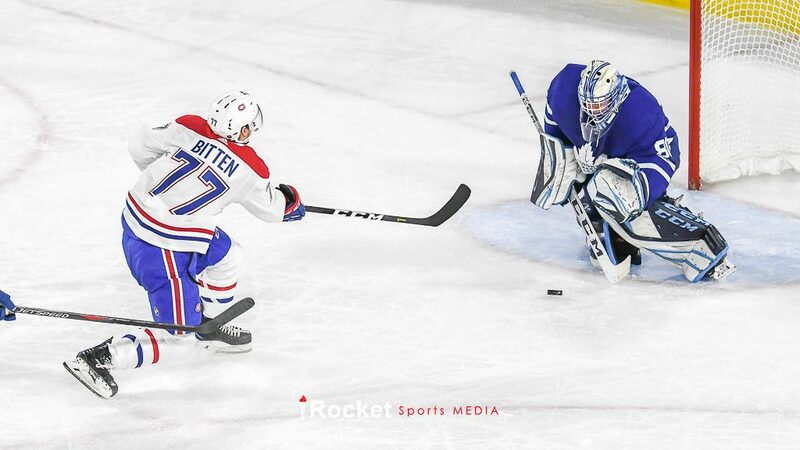 The only dangerous threat during that power play was generated by Jesperi Kotkaniemi as he made a tremendous pass to Alexandre Alain but wasn’t able to put the puck passed Leafs goalie Zachary Bouthillier. The Canadiens were the better team in the second period, starting with some physical play as Adams-Moisan got a major and a match penalty for elbowing. On the same play a fight broke out between Andrew Nielsen and Michael Pezzetta. Both players were disturbing their opponents since the start of the game. Joel Bouchard was not pleased with the game misconduct called against his player and let the officials know about it. 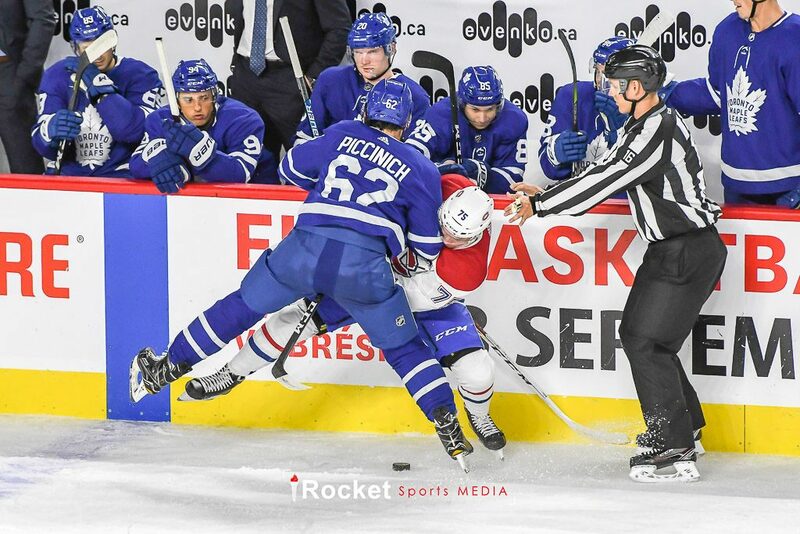 Similar to the Habs five-minute power play in the first period, the Leafs power play was cut short by two minutes on a penalty called against Ryley Stotts. The Canadiens penalty kill allowed no shots on that power play. With 6:31 remaining in the period, Bouchard’s team scored their first goal of the tournament on a play started by Alexander Katerinakis as he tipped the puck to Will Bitten who went on a breakaway and all Cole Fonstad had to do is tap it past Bouthillier. The Canadiens tied the game at 2-2 early in the third period when T.J. Melancon’s pass hit Kristian Rubins’ skate and into his own net. With 7:45 remaining in the period, Giorgio Estephan scored the eventual game-winning goal one second after the end of Josh Brook’s penalty. With 20 seconds remaining in the third, Grundstrom scored into an empty net to seal the victory for the Maple Leafs. The Canadiens struggled on the power play and weren’t able to score on any of their six opportunities, while Leafs scored three of their goals, two officially on the scoresheet, on the power play. Jarret Tyszka was taken to hospital for further evaluation. He is conscious and moving his limbs.